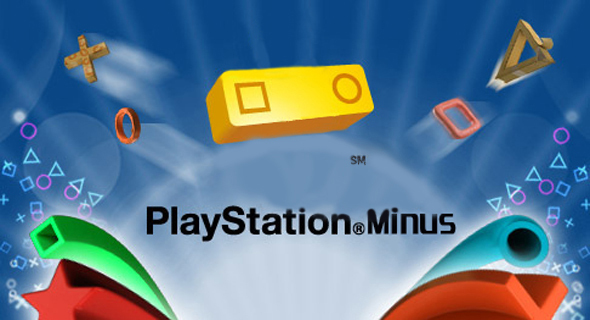 PlayStation Plus or PlayStation Minus? It has been a long while since NTTV has been updated in any way. So, with that and with the recent milestone of 200,000 views I am happy to be back and filled with excitement for what the next chapter will look like for NTTV. With that said, this first update is one of frustration and dare I say – hope – that something good will happen for PS4/PS+ owners. As we get ready to enter the best part of the year in gaming (Fall/Autumn) there are a few things to look back on and applaud from the first 2/3 of the year. One of the big things that happened was the improvement of Battlefield 4’s servers and the quality releases of expansions/DLC. BF4 is starting to show far more staying power than Call of Duty these days, and that is a good thing. However, there are some other aspects of 2014 that have been lacking up to this point. The biggest disappointment so far has been PlayStation Plus for PlayStation 4 owners. While the network is relatively what we expect it to be in terms of solid gaming and online connectivity. The aspect that they introduced a couple years ago of giving free games to PS+ subscribers made me step up to the plate with PS4 and become a subscriber as well. Although they have provided decent games to PS3 owners in the past, the same cannot be said for PS4 owners to this point. The free games with PS+ on PS4 have been rather insulting up to this point. One of the most infuriating comparisons was in June when PS3 owners of the PS+ service) and got a chance to download NBA 2K14 and Sly Cooper: Thieves in Time for ‘free’. These are major releases that at one point commanded a typical retail price point of $40-60. What did the PS4 owners get? Trine 2 and Shooter Ultimate. Chances are good that you are asking the same question(s) I asked when I saw these as the games being offered. Like Frozen – I tried to let it go. However, as a gamer and subscriber to the PS+ ‘service’ I simply can’t do that anymore. The biggest reason behind my spoiled brat ‘gimme gimme gimme’ attitude with free games being offered has come out at this point (because believe me – I know they don’t have to offer jack shiznit if they don’t want to) is because I am starting to think that I bought a luxury sports car with an 8-Track player and crank-down windows when it comes to the PS4/PS+ combination. There has been little reason for me to have the PS+ service other than playing Battlefield 4 online. I also currently own Fifa 14, MLB 14: The Show and Killzone: Shadow Fall. Perhaps the biggest indicator that Sony has a problem is with their very own AAA titles like Killzone – which they release and then forget about. They should have offered it as a free game with PS+, but instead we are stuck with indie arcade titles like Fez and Stick It To the Man. Are you serious? This is almost so insulting it is funny. Except, I’m not laughing. I am quite pissed off to think that I spent money on a service that is giving me the equivalent of throw away SNES titles and acting like they are doing me a favor. Sony’s own original idea of offering free games to subscribers has been taken by Microsoft and no is clearly being used to destroy Sony’s ‘service’. It is as if Skynet has simply become Skynet Gold and it is laughing at the old version of a good idea that is clearly out of it’s realm. Sony, you have a problem. It is about time you start re-evaluating your PlayStation Minus service because you are quickly turning into the laughing stock once again. As for your garbage ‘free’ games that you oh, so graciously present to me and my fellow idiot subscribers – I will download them and I might even play them for three to five minutes. However, I am only downloading them because they are there – not because I want them. Next Next post: A Bad Sign? Madden 15 Will Have No Demo.